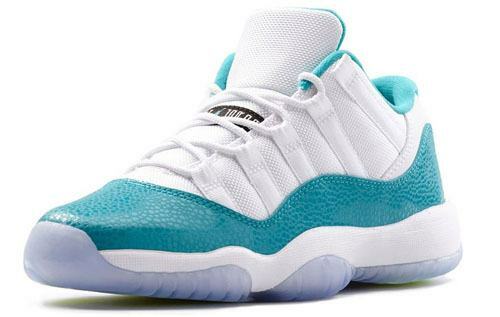 This is the Air Jordan XI (11) Retro Low "Turbo Green" which is a GS (Grade School) size exclusive. The patent leather mudguard features a turbo green Safari print thats unique for any AJXI model to date. 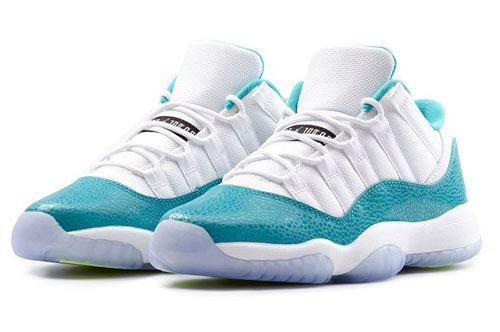 The midsole is white and the outsole is an icy translucent rubber outsole. 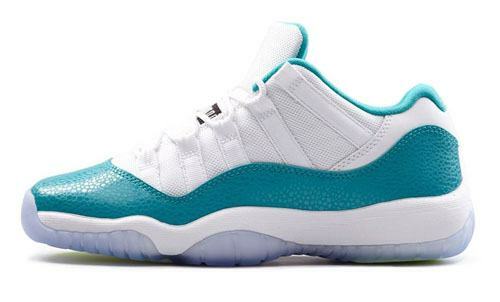 These are an exclusive release for Grade Schoolers, which includes most female sneakerheads as well. The first time Jordan Brand released a female exclusive Air Jordan shoe was in 2001 with the AJXI Low "Citrus" and "Metallic Silver" color ways. This pair will be the buzz on the streets this summer of 2014 so if you're a GS sized you better be sure to add it to your collection.